Pathology Consultants, Inc. services the Greenville Hospital System, which includes Greenville Memorial Hospital, Greer Memorial Hospital, Hillcrest Memorial Hospital, Patewood Memorial Hospital, North Greenville Hospital, Oconee Memorial Hospital, Laurens County Memorial Hospital, and Baptist Easley Hospital. 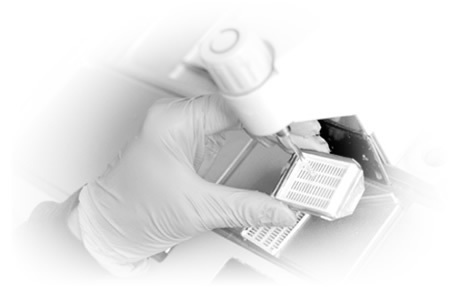 All supplies required to collect and transport a specimen to PCI are provided by our laboratory at no cost to you. PCI employs and trains its own courier services so you can be assured that your specimens are handled with the utmost care to preserve specimen integrity. Specimen pickup times are tailored to complement your work flow, not ours. The College of American Pathologists (CAP), celebrating more than 50 years as the gold standard in laboratory accreditation, is a medical society serving more than 17,000 physician members and the global laboratory community. It is the world's largest association composed exclusively of board-certified pathologists and is the worldwide leader in laboratory quality assurance. The College advocates accountable, high-quality, and cost-effective patient care. Pathologists play an integral role in the primary health care team. They are physicians who obtain and interpret data as the result of the examination of tissues, blood, and other body fluids for diagnosis and patient care. CAP members are involved in a broad range of disciplines, including surgical pathology, cytopathology, dermatopathology, neuropathology, forensic pathology, blood banking/transfusion medicine, clinical chemistry, microbiology, immunopathology, hematology, genetics, and molecular pathology.